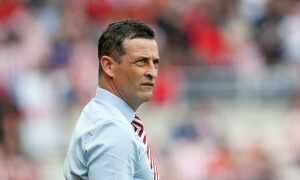 New French arrival for Sunderland | The Transfer Tavern | Where football transfer rumours fly or die! During the transfer window we always expect breaking news here at the Football Transfer Tavern and this latest scoop comes from Goal.com who have news surrounding Martin O’Neill’s Sunderland side. The struggling Premier League outfit have secured the signature of Alfred N’Diaye on a three-and-a-half year deal that is set to expire in 2016. The player has been on the radar of the Black Cats for a while and the club have paid £3.8 million to secure the services of the Frenchman from Turkish outfit Bursaspor. The midfielder who has a reputation for his physical approach to the game, not to mention his tough tackling could be involved as soon as the coming weekend, going straight into the squad for the Premier League game against West Ham United on Saturday. The Frenchman has been given the number four shirt up on Wearside. Is this money well spent by the Black Cats? Vote in our polls below.